The bio-medical and medical device industry is constantly evolving to develop safer and less invasive medical techniques. The past several years have brought forth a plethora of technological devices limiting the risk and recovery of certain medical procedures. One of the riskiest of all medical procedures is brain surgery, but a recent innovation has reduced the risk involved substantially. Researchers at the University of Adelaide invented a “smart” needle that detects blood vessels in the brain that can be fatal if ruptured. This tiny high-tech imaging probe is encased in a brain biopsy needle. This allows surgeons see blood vessels as they insert the needle, which they then can avoid. The small imaging probe is made of a fiber-optic camera roughly the same size as a human hair. Shining an infrared light allows the surgeon to see the vessels before the needle reaches them. Another feature of this life saving innovation is the capability for the computer system used in unison with the needle to recognize the blood vessels and alert the surgeon. The smart needle has has been used in pilot trials with 12 patients undergoing neurosurgery at Sir Charles Gairdner Hospital located in Western Australia. 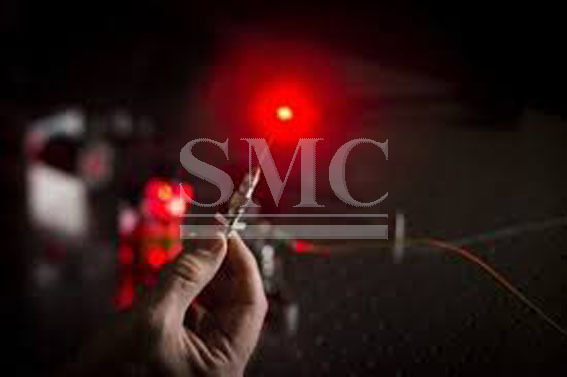 The smart needle is expected to be ready for formal clinical trials by 2018. The team is currently in discussion with medical device manufacturers both foreign and domestic and hope to have the smart needle manufactured in Australia. Professor McLaughlin the Chair of Biophotonics, Centre for Nanoscale BioPhotonics, at the University of Adelaide says, "We have the engineering expertise and world-class hospitals here, and enthusiasm from the surgeons.” They believe it is an ideal technology to commercialize in Australia. Experts believe that this innovative medical device has the potential to revolutionize neurosurgery. Professor Christopher Lind, a consultant neurosurgeon at Charles Gairdner Hospital and the University of Australia and led the clinical trials. He stated, “It will open the way for safer surgery, allowing us to do things we’ve not been able to do before”. This device will allow surgeons to safely complete new procedures, reduce risks involved with brain surgery, and allow for less invasive procedures. This is just one of many new high-tech medical innovations transforming the industry and saving lives around the globe.